With the increasing development of brownfield and landfill sites, ground gas is a common problem encountered by engineers and scientists and this book not only raises awareness of the phenomenon but also provides practical solutions to the difficulties experienced. This vital new handbook provides practical guidance to engineers, regulators and designers about assessing ground gas risk and the design of appropriate protection measures. It includes a great deal of information that has never before been available in one volume and draws on the collective experience of the authors. 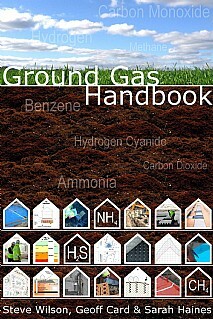 The book discusses the assessment of ground gas for Part II A sites and also includes information on the assessment of vapours. Detailed information on gas generation and the analysis of gas flows in the ground are included, including the design of gas protection systems. There are many worked examples throughout the book that help to explain the concepts and calculations that are described. It explains how to use the most recent assessment methods published by CIRICA, NHBC and BSI and highlights the differences between the various methods. The final sections cover the design and installation of gas protection systems to buildings and in ground barriers. Most importantly, it includes advice and recommendations about the validation and testing of protection systems as they are installed. This handbook will be of immense value to professionals and advanced students within geotechnical engineering, geo-environmental engineering, ground engineering and environmental health, including engineers and applied scientists in these disciplines. Researchers, regulators and design offices will also find this book to be of great use.